The weekends in Masai Mara were “rest days” for us. One of our groups would leave on the Saturday and the next one would come to the camp either on Sunday evening or on Monday evening. They were great days as we had the camp all to ourselves. On Saturday mornings I would back up and edit my images, deep clean our gear & tent, catch up with the personal work and do other chores not related to wildlife or photography. After lunch we would be out with the cameras. 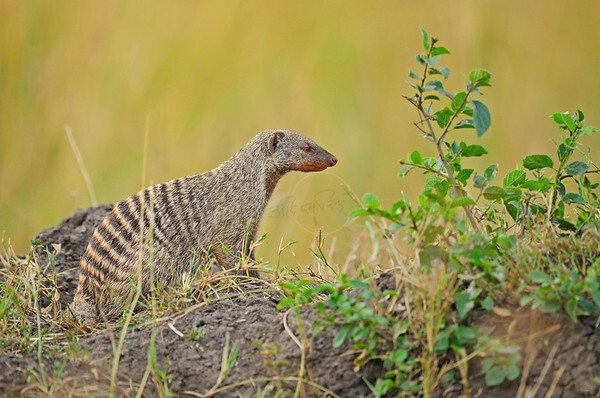 This afternoon I went for the Banded Mongoose (Mungos mungo). They are close relatives of the Meerkat and not easy to photograph as its tough to get a nice angle on them. We got lucky. We saw a great sunset in the evening just before the camp – a large yellow orb being pushed by the dark clouds above. We knew it was going to rain soon. There were spectacular thundershowers in the night – complete with thunder and lightning. This rain settled the dust and light was amazing the next morning. The rain also “turbo charged” the migration. 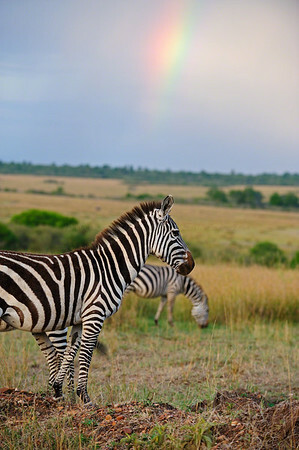 Occasional thundershowers are common between July and September in the Masai Mara. The rain comes down hard but usually does not last for a long time. 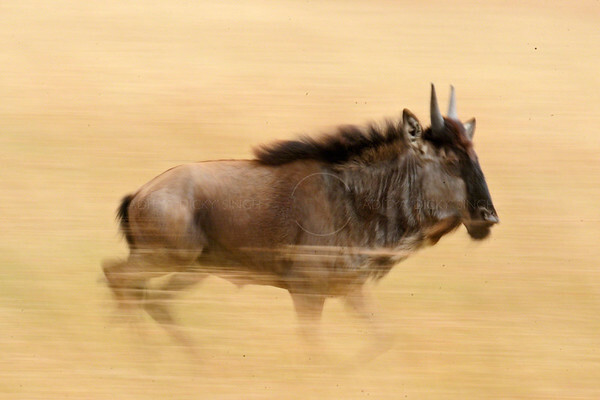 These rains and the resultant growth of grasses attract the wildebeests, zebra and the other migrants into the Masai Mara. Rains are the generator that runs the migration. 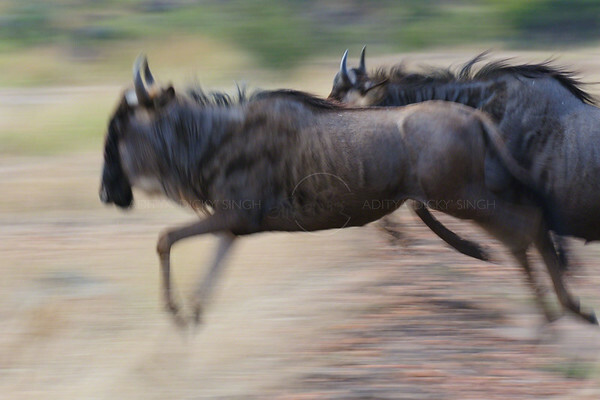 The wildebeests were quick to respond and they came running in long single files. Thousands and thousands of them. 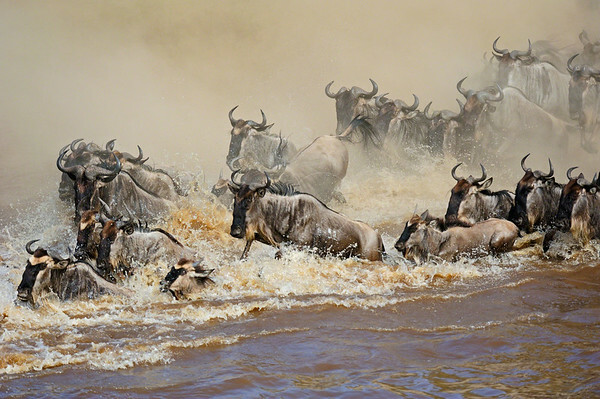 By Monday morning many groups of herds had gathered on our side of the river and were waiting to cross the Mara River. During the next seven days I saw more than a few river crossings every day. By the end of the week I had seen over 25 crossings, so big and some small but all spectacular. For the first two days they were crossing from our side of the river to the other side and we had to cross the Mara bridge, to the other (Narok) side. By the second of third day they were crossing the river on both sides and we were getting them coming head on towards us a few times a day. 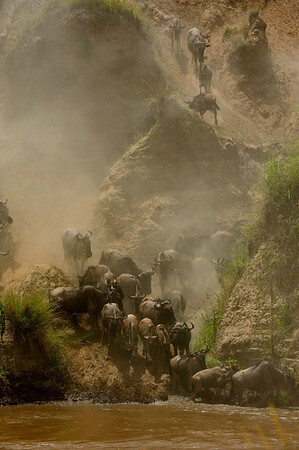 During the river crossing the wildebeest jump in the river – high on adrenaline, nostrils all flared up and raring to go. There was a lot of action besides the spectacular river crossings and many of our guests had some great moments away from the river. I, for one, was totally focused on the river crossings and had little time for anything else. Shoot, edit, back up was the mantra to be repeated over and over again. 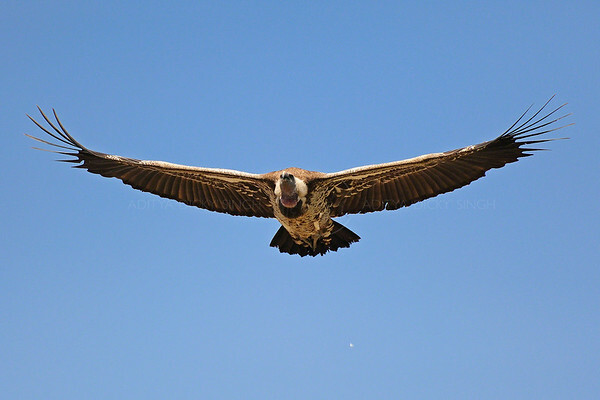 great pics n narration bhaiya. thanks for sharing it.